The Magnolia Hotshots Pambansang Manok is scheduled for a best-of-seven championship series against the San Miguel Beermen at 7:00 P.M. on April 5, 2018 live from the Mall of Asia Arena. 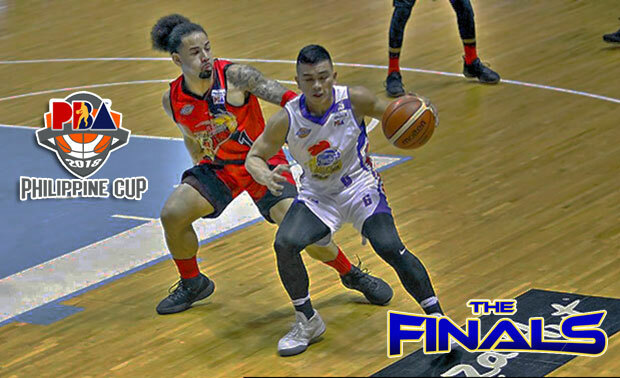 A commanding 3-1 series lead and most especially a chance to take home the 2017-18 PBA Philippine Cup trophy is what the Beermen are looking forward tonight while the Hotshots wanted to extend the series and keep their hopes alive. Despite of their success on guarding June Mar Fajardo in the first quarter and limit the 2018 PBA Philippine Cup Best Player of the Conference to just two points in the first quarter, Magnolia weren’t able to pull a win. The Hotshots had a chance to tie the game or even win it at the few seconds of the fourth quarter but the pass of Aldrech Ramos to Mark Barroca went out of bounce. It was a very costly mistake for the guys of coach Chito Victolero. Although trailing in the series, coach Victolero still positive as he head to their tonight’s schedule. “Right now I don’t have to do big adjustment. Ang importante dito yung players. Paano sila magba-bounce back at magawa ‘yung same attitude namin sa game na ito,” said Victolero. “I’m always positive kahit na anong mangyari. Experience yan na kailangan namin ng ganito . Sabi ko nga sa mga players hindi kailangan ‘yung nothing to lose. Kelangan merong at stake”, he added. However in the SMB camp, coach Leo Austria is on the watch and expecting a different move from Magnolia side. “Gagawa lamang kami ng adjustment kung anong klaseng game plan ang gagawin nila sa Game 5”, said Austria. Austria’s back up players who sees more playing time this conference only contributed six combined points. Even with their struggles on offense, coach Austria will still rely on them as he need fresh legs inside the basketball court. “I need them because my starters cannot survive playing longer minutes against Magnolia na ang intensiyon ay pagurin sila. Kelangan talaga nila ng pahinga”, said Austria.